It is almost impossible to resist a fruit that looks and tastes equally good. A small, glossy, elegant, red and inviting fruit that has the ability to allure you from head to toe! Wondering what we’re talking about? Yes, it is the cranberry. It can be eaten raw or consumed as juice. Cranberries are said to have originated in regions of America and can be used in the dyeing and drug industry. Delve into the pool of nutritional benefits that these simple fruits can provide you with. Let your heart be content and your body thankful for these fruits as they are aimed to provide you with numerous advantages. For example, eating cranberries can help in improving blood circulation. To get more information on the health benefits, history and storage tips of cranberries, read further. 500 years ago, it was the Native Americans from North America who discovered this wild berry’s function as food. Cranberries (derived from the name ‘craneberry’ due to its small, pink blossoms that appear in the spring and resembling the head and bill of a sand hill crane) were also used as a fabric dye and a healing agent. It was in 1816 that Captain Henry Hall became the first person to successfully cultivate cranberries and soon after, these red berries were exported to Great Britain by the colonists, who found them to be a valuable bartering tool. Denmark, Finland, Iceland, Norway, Sweden and Russia were next in line to consume the juicy berries. Holland got it hands on these delicacies only when crates full of cranberries reached its shore. By the end of the 20th century, the demand for these fruits reached an all-time high. Hippuric acid and proanthycyanins, two chemical compounds present in cranberries, keep harmful bacteria such as E.coli from adhering to the cells of the bladder. These chemicals are known to provide protection from urinary tract infections. 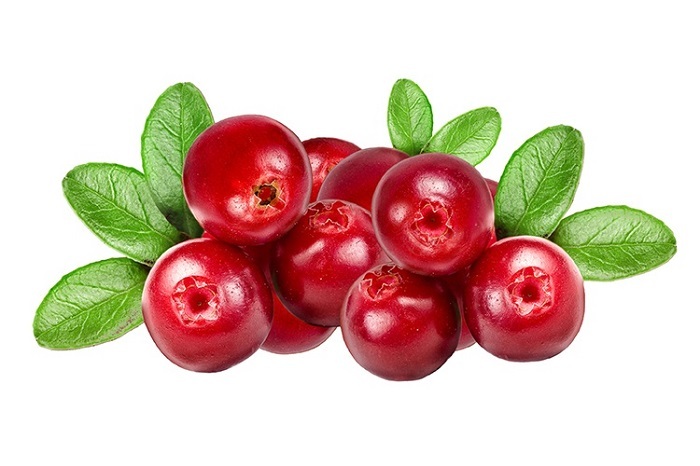 Other body surfaces such as the teeth and gums can also be preserved with the help of cranberries, as they can prevent the formation of cavities. It has been said that some infections cured by cranberry juice do not have pharmaceutical antibiotics for their treatment. 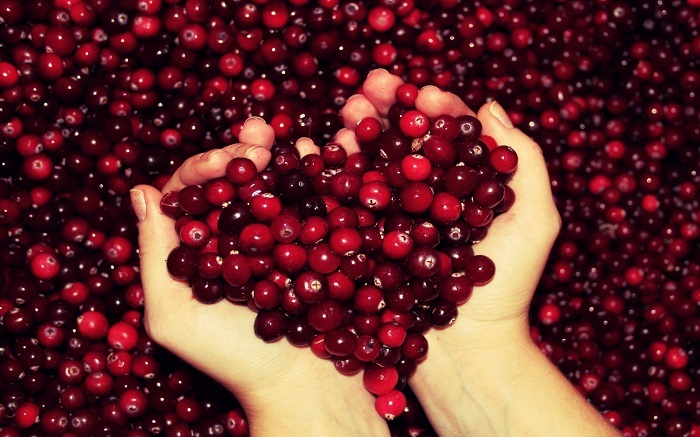 Another most important advantage of cranberry consumption is the cardiovascular benefits that it provides. The powerful combination of antioxidants and anti-inflammatory phytonutrients in cranberry are the main reason behind this. Cranberries have a rare ability to detoxify harmful organisms while promoting the growth of beneficial bacteria, otherwise known as probiotics. 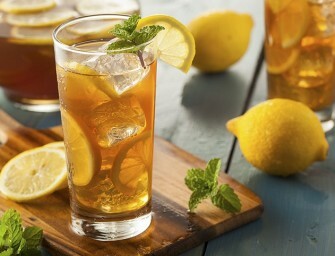 For people suffering from recurrent kidney stone formations, cranberry juice acts as a supplement food. Quinic acid, in this fruit, is not broken down by the body and is thus excreted. This process acidifies the urine enough to prevent the aggregation of calcium to form stones. Studies show that although cranberries do not lower the LDL cholesterol, they increase the HDL levels. The ‘good’ cholesterol further helps in improving the functioning of blood vessels and thus prevents any chances of a heart attack. Patients suffering from atherosclerosis can improve their health by including cranberries or cranberry juice in their regular diet. Phenols, the powerful antioxidants found in cranberries, are effective in preventing macular degeneration, an affliction of the eyes that affects seniors, and Alzheimer’s disease. Studies have shown that phenols also prevent various types of cancers such as liver, lung, prostate, cervical and breast without negatively affecting any other healthy cells. For people suffering from excess flab, cranberry juice contains high levels of organic acids that have an emulsifying effect upon fat deposits. Consumption of cranberry juice is known to inhibit Haemophilus influenzae, a bacterium that causes respiratory infection in children. These microorganisms are also responsible for up to 40% of middle ear problems. The anti-inflammatory property of cranberries has made it one of the most sought after fruits in the world. 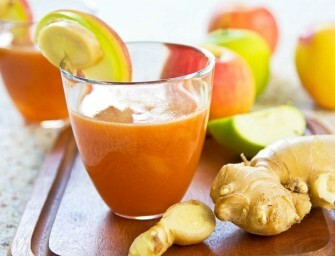 The presence of phytonutrients has been implemental in lowering the risk of unwanted inflammations. Additionally, it lowers the risk of periodontal diseases too. According to recent studies, the intake of cranberries is effective in improving immunity in the body. Cranberry extracts alleviates the frequency of cold and flu symptoms. Cranberries are said to possess several anti-cancer properties. Some of them include blocked expression of MMPs (matrix metalloproteinases); inhibition of ODC (ornithine decarboxylase enzymes); stimulation of QRs (quinone reductase enzymes); inhibition of CYP2C9s (Phase I detoxification enzymes) and triggering of apoptosis (programmed cell death) in tumor cells. Cranberries have about 46 calories per 100 gm of weight. Although cranberries are seasonal they are still available all year long, courtesy – cold storage! It is difficult to pick one cranberry at a time; they are usually sold in 12 ounce plastic bags. Here, the high quality cranberries are sorted out from the low quality ones before harvesting itself. Apart from this, they may also be available in pint containers. To select the ideal cranberries, look for fruits that are firm to touch, shiny and plump with a colour ranging from bright to light to dark red. Avoid those with brown spots on them. Deeper the color, better the quality of the berry. Dried cranberries, similar to raisins, and canned cranberries sauce are also available. Fresh cranberries can be stored for a good 2 months by putting them into a tightly sealed plastic bag and placing it in the refrigerator. However, before storing, pick out any soft, discoloured or shriveled cranberries. Cooked cranberries can be placed inside an airtight container and then refrigerated. This can last for up to a month, without spoiling. If small amounts of liquor are added to the cooked mixture, it can last for almost a year. Finally, frozen cranberries can be kept for more than year but it must be washed, dried and placed in airtight containers first.